Black Flower (translated by Charles La Shure, published by Mariner Books) begins in 1904, with the Korean Empire entering its final days. A thousand or so people have decided to leave their homeland, hoping to make a living (and some cash) by working hard as farmers in far-off Mexico. Few of the emigrants know anything about their new home (only one can even speak Spanish), but they’re all convinced that this will be a change for the better. While a work of fiction, Black Flower is based on real events – this mass emigration really happened. As the Korean Empire was in the process of being dismantled by Japan, a shipload of Koreans set sail for Mexico, hoping to gain fortune and fame in a new world. It is this story that Kim uses as the springboard for his novel – the crossing, the haciendas and the struggles in Mexico and Guatemala. 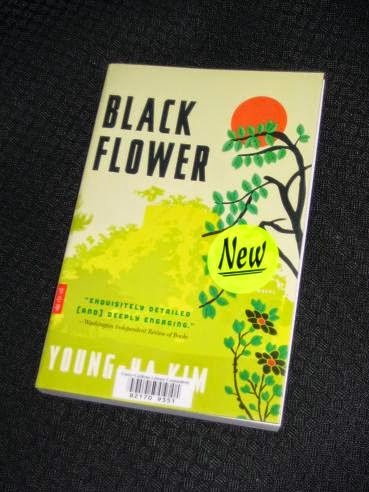 There’s a lot to like about Black Flower, and I’ve enjoyed filling in another little gap in my (enormous) ignorance of Korean history. However, several people have said this is not Kim’s best work, and I can certainly see why. The writing is a little bit flat, almost wooden at times, and the novel is so didactic in places that it reads more like a history text. Also, while Ijeong is the one I’d pick as the central protagonist, he’s a hero who goes AWOL at times, and as a result, the story meanders a little. A bigger issue, though, is that at 300 pages it actually feels too short. It’s as if the writer, having gone to the effort of researching the story, ran out of steam towards the end and decided to wrap it up quickly. That’s a shame because this is a great story, and it feels like it should, or could, have been an epic. In the second part, events happen far too quickly, and the third part, thirty pages detailing the creation of ‘New Korea’ in Guatemala, could have been a short book in its own right (especially as the writer says, in his afterword, that this is the part that intrigued him!). I've seen this around for several years (in French translation), though something's always held me back from picking it up. I'm glad you did, and am glad to know a bit more about the novel. The story sounds interesting; I haven't read much Korean literature, but I can't think of any Korean work I've read that extends much beyond Korea's own borders. seraillon – It's the only one I've read that takes place outrside the country, and there's a lot to like. Sadly, he just never quite takes the story as far as it should go. Oh goodness, I hated this book. The writing is so, so dry, and I just didn't feel like the info-dump historical aspects were enough to turn this into a remotely good book. Everything about it was empty of life and soul, and utterly lacking in the necessary emotional depth. And the characters, ack… you're much more generous than I'll ever be.